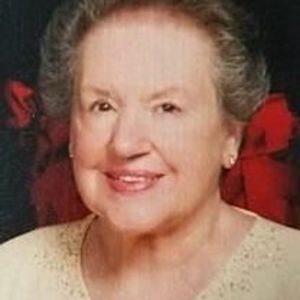 Katina Matinos Severn, 80, of Raleigh, peacefully reposed to the Lord surrounded by her family on Saturday, December 24, 2017. She is survived by her son, Michael Constantine Severn; daugther, Olympia Debra Severn Hilliard; granddaughters Ashleigh Anne Severn, Samantha Olympia Hilliard Van Hoy (Timothy), Alexandra Danielle Levine (Max) and great-granddaughter Paxton Elizabeth Levine. She was preceded in death by granddaughter, Elizabeth Michelle Hilliard. A visitation will be held Wednesday, December 27, 2017 from 6 p.m to 8 p.m. at Holy Trinity Greek Orthodox Church, Trisagion prayer service will begin at 7pm. A funeral will take place Thursday, December 28, 2017 at 11:00 a.m. at Holy Trinity Greek Orthodox Church, 5000 Lead Mine Road, Raleigh. Interment will follow at Oakwood Cemetery in Raleigh; Makaria will follow. In lieu of flowers, memorial donations may be made to Holy Trinity Greek Orthodox Church, 5000 Lead Mine Road, Raleigh.